Cartuline is a template inspired on the vintage fashion, created with a vibrant color, lot of elements and animations for a great experience. This template is based on Bootstrap 3 and includes Font Awesome 4, Slider Revolution and other amazing features ready to use. 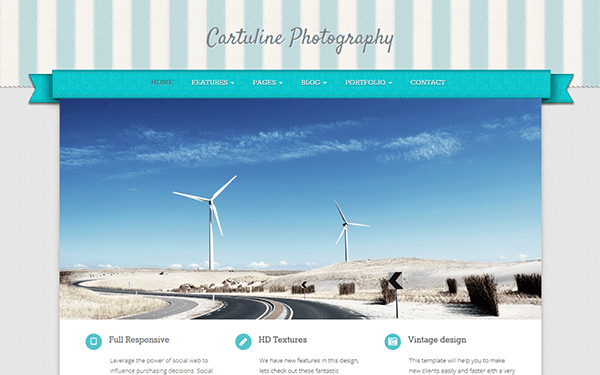 Item Reviewed: Cartuline Responsive Bootstrap Template 9 out of 10 based on 10 ratings. 9 user reviews.